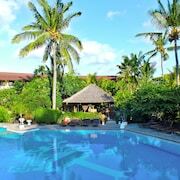 This family-friendly Kuta hotel is located near the airport, within a 10-minute walk of Poppies Lane II and Bali Bombing Memorial. Kuta Beach and Legian Beach are also within 15 minutes. 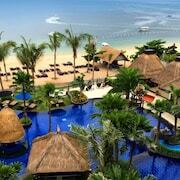 Situated by the sea, this hotel is 0.5 mi (0.8 km) from Mertasari Beach and 2.5 mi (4 km) from Sanur Beach. Pantai Karang Beach and Sanur Night Market are also within 3 mi (5 km). 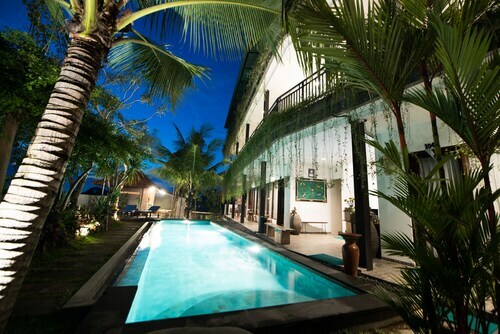 This family-friendly Canggu guesthouse is located near the airport, within 3 mi (5 km) of Finns Recreation Club and Echo Beach. Finns Recreation Club and Berawa Beach are also within 3 mi (5 km). 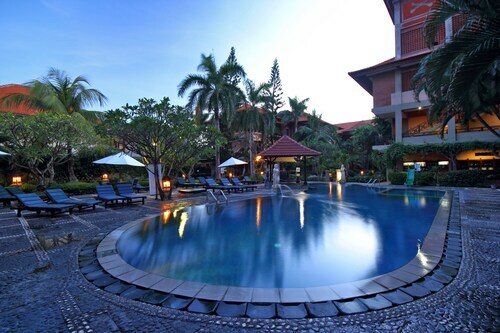 Located in Umalas, this spa hotel is 1.7 mi (2.8 km) from Finns Recreation Club and 3.1 mi (4.9 km) from Seminyak Beach. Finns Recreation Club and Sunset Point Shopping Centre are also within 3 mi (5 km). Located in the heart of Kuta, this guesthouse is within a 10-minute walk of Poppies Lane II, Kuta Beach, and Bali Bombing Memorial. Beachwalk Shopping Center and Waterbom Bali are also within 15 minutes. 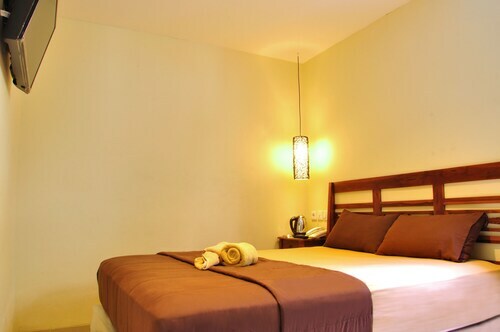 Situated near the beach, this hotel is within 1 mi (2 km) of Bali Beach Golf Course and Sanur Beach. Sanur Night Market and Sindhu Beach are also within 1 mi (2 km). 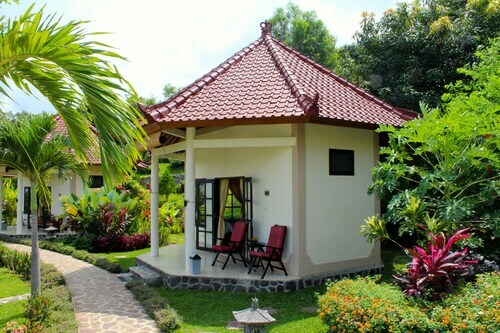 This Tabanan villa is on the beach, 3 mi (4.8 km) from Pura Ulun Siwi, and within 6 mi (10 km) of Kedungu Beach and Petitenget Beach. Nirwana Bali Golf Club and Tanah Lot are also within 9 mi (15 km). 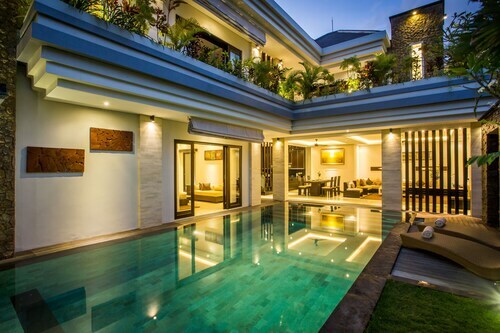 Located near the airport, this family-friendly villa is within 6 mi (10 km) of Garuda Wisnu Kencana Cultural Park, Nusa Dua Beach, and Kuta Beach. Legian Beach and Dreamland Beach are also within 9 mi (15 km). 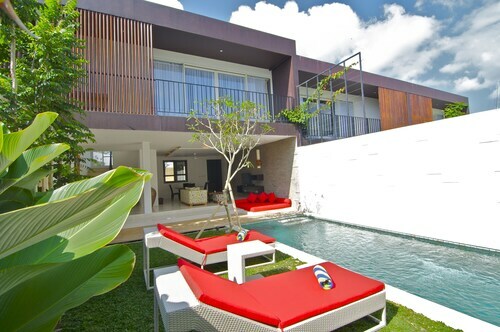 This family-friendly Seminyak villa is located on the Strip, within 1 mi (2 km) of Sunset Point Shopping Centre and Eat Street. Seminyak Beach and Double Six Beach are also within 2 mi (3 km). 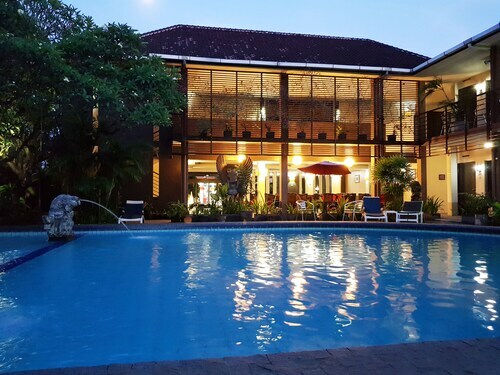 Located in Banjar, this family-friendly hotel is 1.6 mi (2.6 km) from Krisna Funtastic Land, and within 6 mi (10 km) of Lovina Beach and Banjar Hot Springs. Puri Jati Beach and Puri Jati Dive Site are also within 9 mi (15 km). 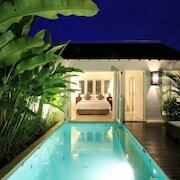 Located in Drupadi, this luxury resort is within a 15-minute walk of Seminyak Beach and Double Six Beach. Legian Beach and Eat Street are also within 1 mi (2 km). Now all you need is some groomed slopes and a spot close to the mountain. Well, there’s a ski resort in Bali with your name on it. 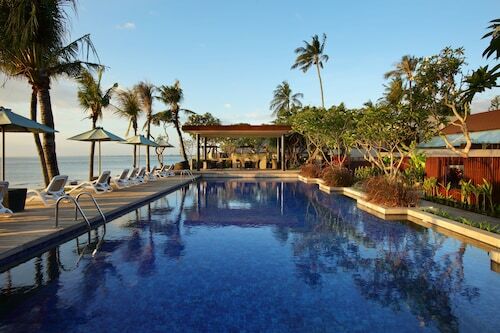 Q: How much will a ski resort near Bali cost? 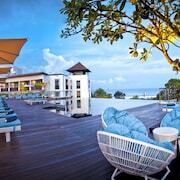 A: We have Bali ski resorts for as little as AU$17 per night. Q: How many ski resorts are there in Bali? A: There’s 6409 ski resorts for you to choose from in Bali. Browse the 97 reviews to help you decide which one is the best for your trip.